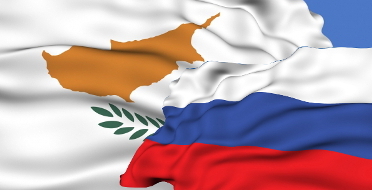 Article 10 of the double taxation agreement between Cyprus and Russia, as modified by the protocol dated 7 October 2010, provides that withholding tax payable on dividends paid by companies resident in one state to shareholders resident in the other is capped at five per cent of the gross dividend, provided that the beneficial owner of the dividends is a resident of the other state and has directly invested the equivalent of at least 100,000 euro in the capital of the company paying the dividends. In practice the provision applies only to dividends paid by companies resident in Russia to Cyprus-resident shareholders, since Cyprus does not impose any withholding taxes on dividends. The importance of proper structuring to ensure that the strict requirements of the double tax agreements are observed is illustrated by the denial of the preferential five per cent rate on dividends paid by Severstal PJSC to its four Cyprus-resident shareholders. The Russian tax authorities successfully argued that the Cyprus-resident companies Rayglow Limited, Loranel Limited, Astroshine Limited, and Pearlgreen Limited, which were owned by entities residents in the British Virgin Islands, were conduit companies established with the main objective of ensuring a favourable tax regime. The court made clear that a shareholder which is merely a custodian or transfer agent is not the beneficiary of the income. The Russian tax authorities contended that Severstal should have withheld tax at 15 per cent, and not five per cent, and raised assessments for the shortfall in withholding tax of 696 million rubles, and late payment charges and penalties of 286 million rubles, the equivalent of 17 million US dollars in total. The 2010 protocol to the agreement introduced a limitation of benefits clause for the first time and this, together with the Russian authorities’ more assertive stance regarding the interpretation and enforcement of legislation over the past few years, makes it essential to ensure that the provisions of the agreement are scrupulously observed in order to enjoy the considerable benefits it provides.